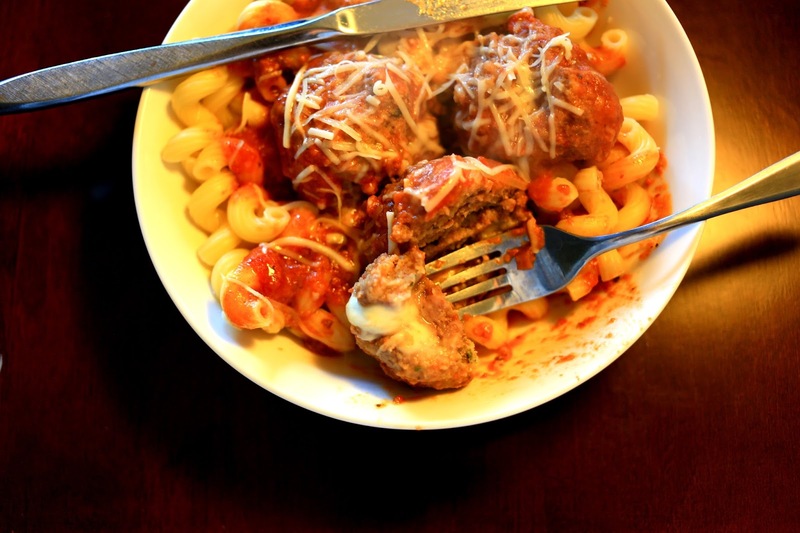 You make the meatballs then set them in the crock pot and walk away. It’s that easy! Let me tell you, these things were gobbled up so quickly around my house. I even made them two ways- as you can see below. 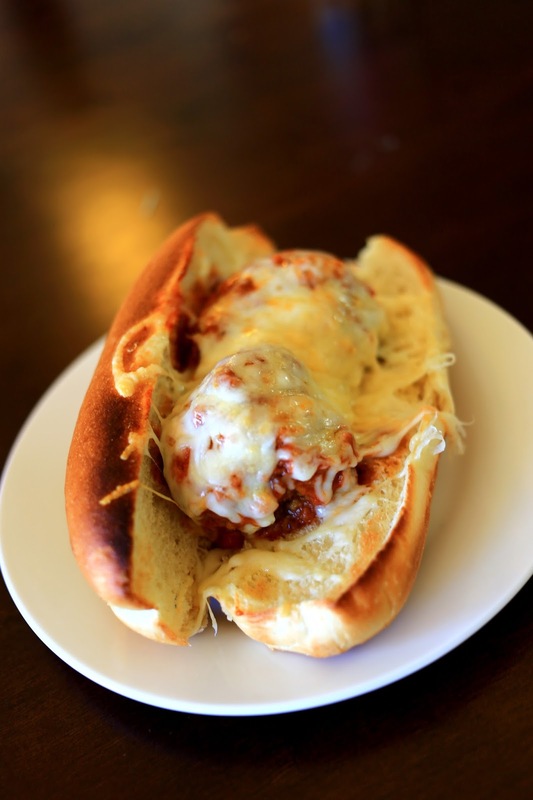 One dinner over pasta, and the next on a broiled hoagie roll with melted cheese! and pull the edges of the meat ball around it until it’s a new ball again. 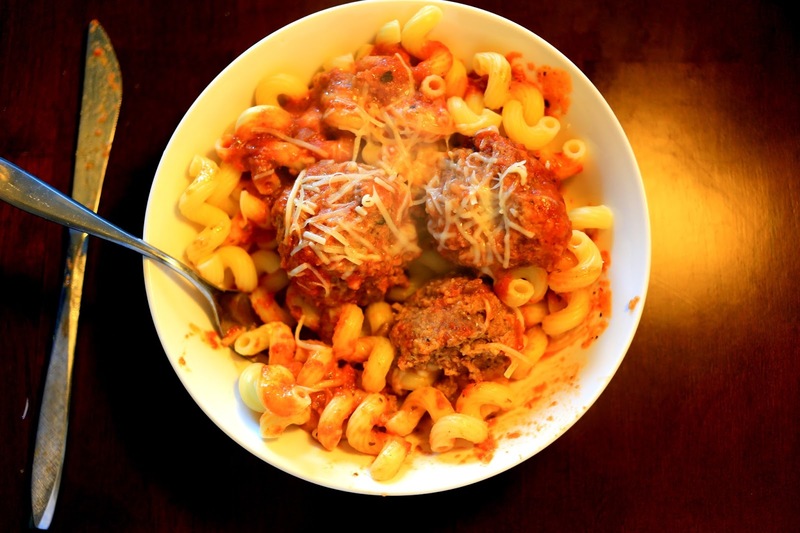 meatballs in slow cooker and cover in tomato sauce. high for 2 to 2.5 hours. Um with cheese smushed in the center? 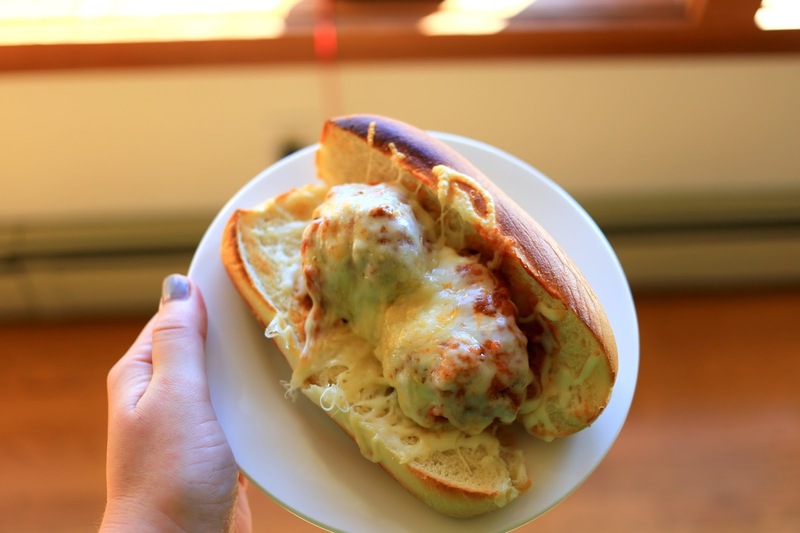 Not only am I loving the size of these meatballs, but love the stuffing surprise! YUM! SO good! and SO easy!! YES PLEASE!!! It has been one of those weeks, and meatballs are a must. These ones are just the best. oh my word, YES. I have a dairy intolerance but would suffer the consequences for this. 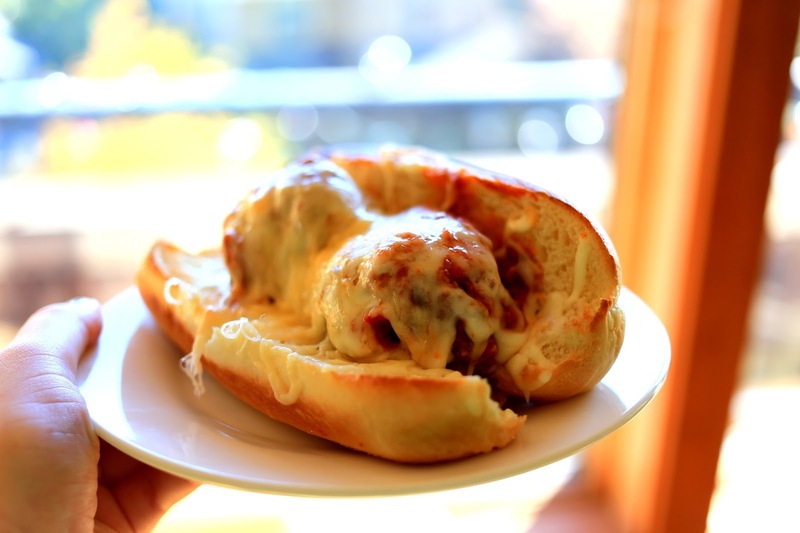 I used to make Manchego stuffed meatballs and just love cheese-stuffed meatballs. This recipe looks so good! OMG that sounds amazing too- I never thought about using different cheeses- eek need to try these again! OMG. I'm making this. Such a great idea. The photos are great too. Nice work. Thanks so much, Let me know if you make them! They are seriously so easy. 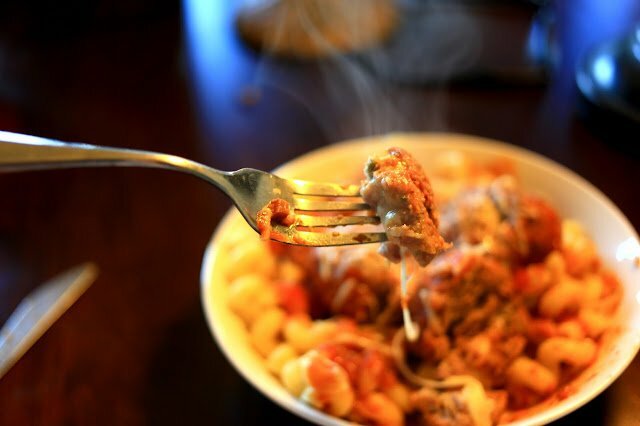 I never thought about making fresh meatballs and putting them right into the crockpot, i would have thought you had to brown them, which is always a lot of work. Great idea, i'll be using this for sure. I will admit it felt weird to just put them in there..but it worked and it tasted amazing!